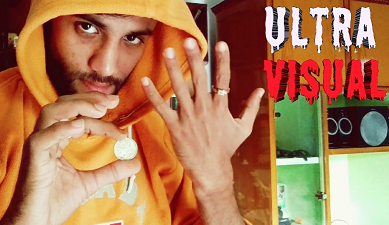 An eye popping ultra visual effect that may leave every spectators clueless as well as magician too. Imagine you show your both hands and both sides of a coin respectively , Then you magically transform the coin into a bottle's cap. 1.Don't mislead yourself thinking that i stick that coin behind bottle's cap. 2. If you're an instagrammer or youtuber then this is the one you're looking for , one of the best trick for you i must say. You may fool every people out there with this trick as well as get overwhelming response if you upload it on any social media platform .